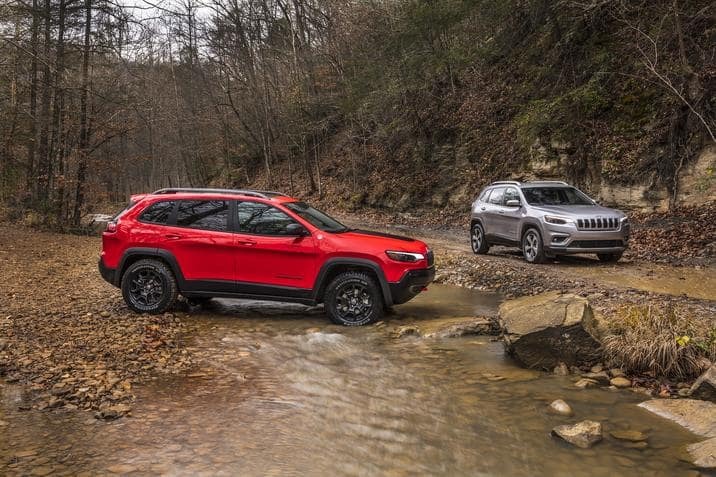 2019 Jeep Cherokee Now Available At Cueter " "
The All-New 2019 Jeep Cherokee is now available at Cueter CDJR! 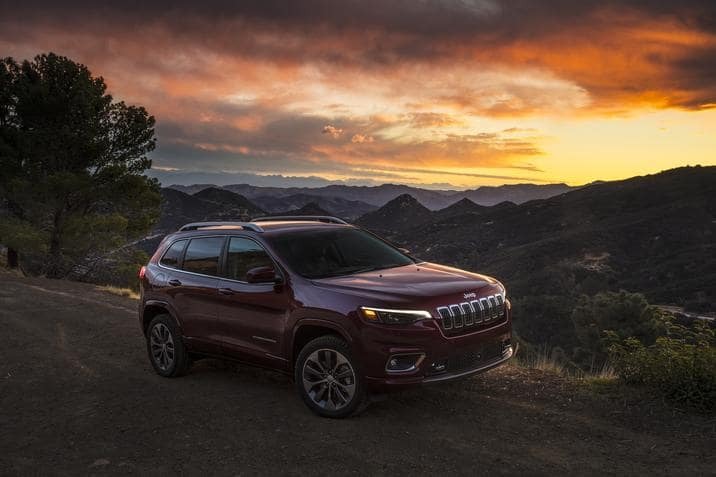 The Cherokee keeps the same renowned traditional stance with a new advanced Global Turbo Engine. 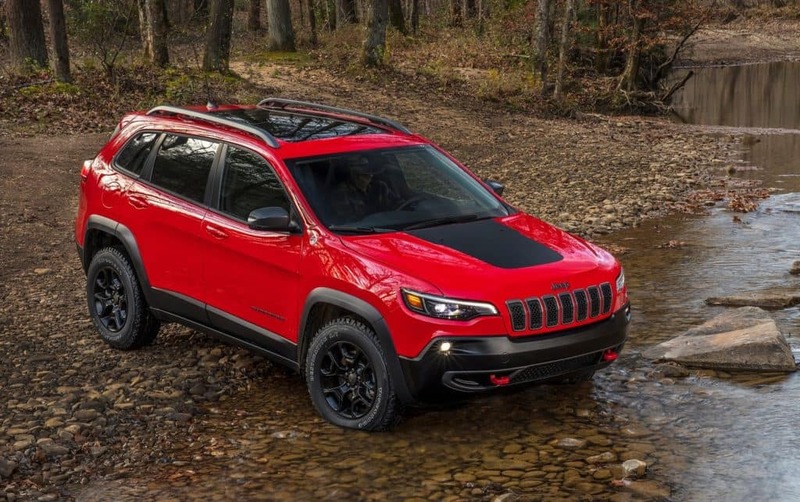 With features in all trim levels, the Cherokee is best in class trail-rated mixed with the Jeep Selec-Terrain traction control system with up to five customized modes – Auto, Snow, Sport, Sand/Mud and Rock. The new Cherokee’s tail lamps remain an integral part of the rear back light graphic, which includes a signature red “Feature Light” – a thin homogeneous LED light strip that wraps individual stop, turn and reverse tail lamp applications.